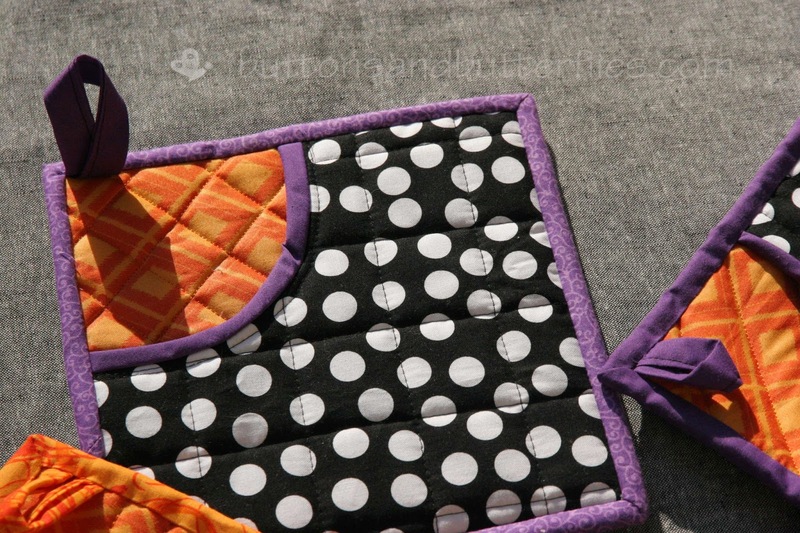 Confession: I have never made potholders ever. Never. Ever. And I am not sure why because they are so fun and satisfying! I had zero plan and no tutorial other than using some of the Insul-Bright material I bought over a year ago. I decided to just piece some Halloween prints with other scraps first. I layered one piece of Insul-bright and one layer of batting so they would be nice and thick. 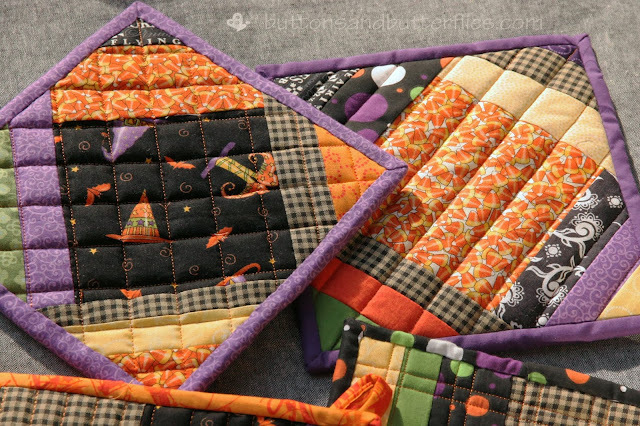 I used a modified Quilt-as-you-go method by piecing the pieces onto the batting as I went along, but I actually did not do the quilting until after I had the entire squares pieced. 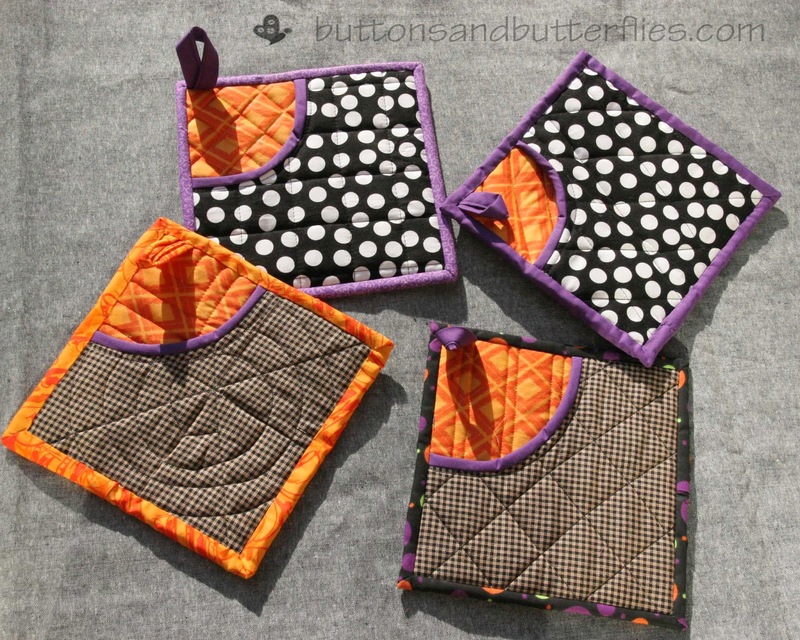 I used a different pattern for each potholder. However, before I did the binding on each potholder, I decided that I needed to add loops and couldn't quite figure out how I wanted to do them. So I went on a google hunt to see how others looked. I decided to just go with my original plan because I really didn't find any loop tutorial. However, I did find the idea of making a pocket to put your hand in in at O'Frannson. I thought it was brilliant, because a plain square was dangerous for this burn prone gal!! I burn the back of my hands ALL the time! 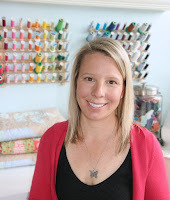 It also gave me an opportunity to do a different quilting pattern on the back piece! Enter in the leaf potholders. 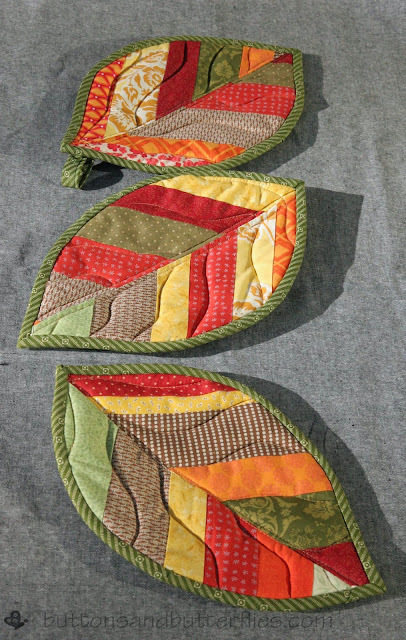 Ironically, while I was on the hunt for a loop tutorial, I found an image of a leaf shaped potholder. 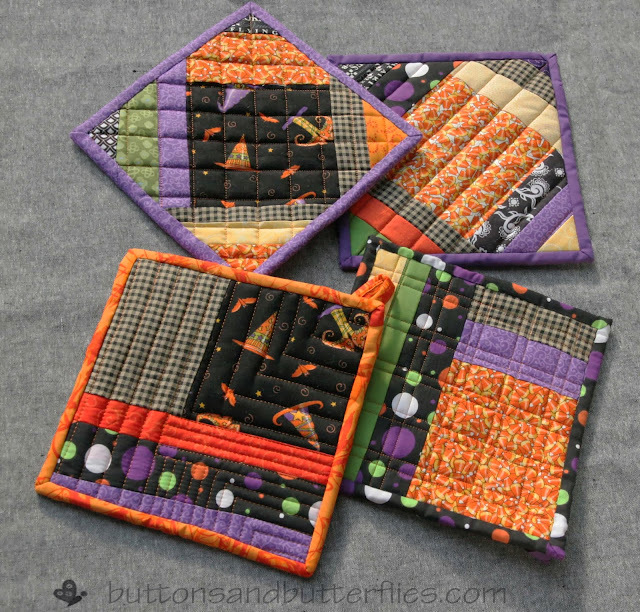 Hubby happened to walk into the room and stated that we needed "Fall" potholders when Halloween was over. Please, honey, don't twist my arm! They were so fun to make! My second confession? 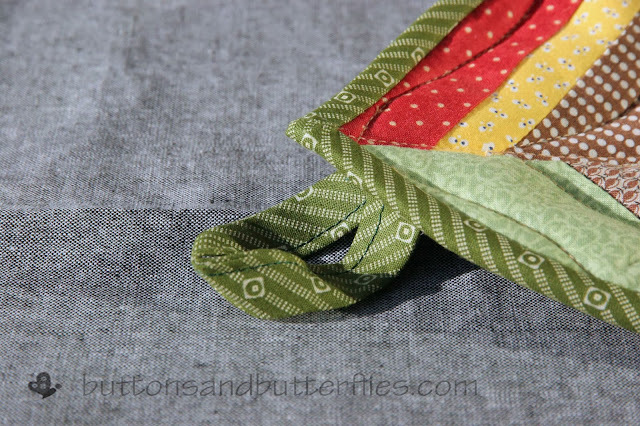 It has been a while since I made bias binding (don't throw rocks at me). I forgot how nicely biased binding wrapped around curves! I stripped some scraps and cut them so they had the angle out. Quilted them with a swirly movement. Straight would be fine, but I was having a bit of fun! If you are in need of a pick-me-up on a grueling project? 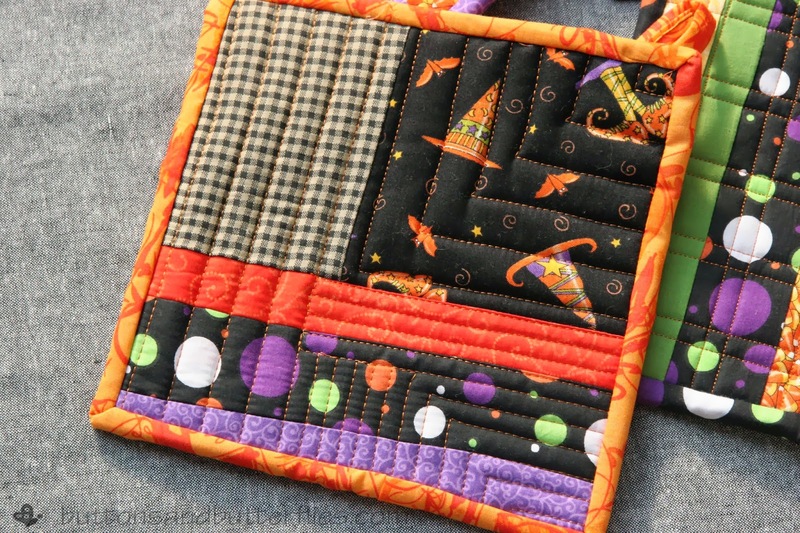 You just reminded me of how fast and easy potholders are to make! I think I will make some for myself today!! Love the leaves and they would make a great hostess gift for Thanksgiving! These are fab. I have never made any either but keep meaning to try. 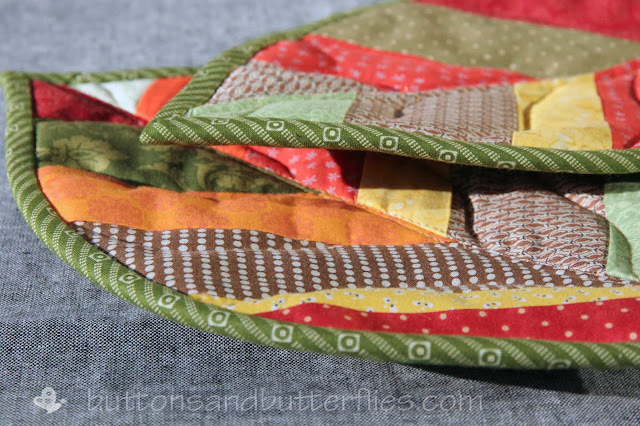 I LOVE the leaves and the quilting is perfect. I can't believe you've never (ever) made pot holders! I'm another who loves the leaf potholders. They look incredible, and they'd be fun to cook with, too! Impressive rookie potholders! Great job! Beautiful! 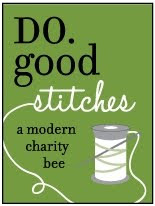 I am passing this along to a Facebook friend who is making pot holders to help fund her daughters double lung transplant. Love them all! The leaves are especially adorable....would love to see a tutorial on them! The leaves are really cute but I like the ones with the pocket for the same reason as you! Thanks for posting. 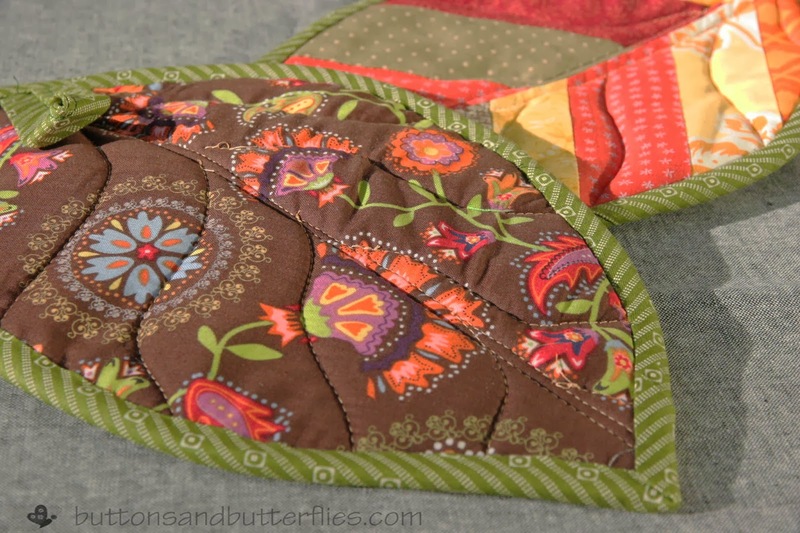 I'm a newbie visual learner sewer would like to know how you made those slanted quilted leaf design? Thanks! They are pretty! I love the leaf potholder and I see that you've added a tutorial but I cannot open it. I've tried in Explorer and Firefox. I would hate to miss out on this! Any tips on how to get to the tutorial are greatly appreciated. Me again. I poked around a little on your blog and saw that the tutorial is accessed from your main page. I followed a link from Facebook and then checked the Tutorials link. Thanks for taking the time to do this!